What is META-Kinetics - META-Health Academy. What is META-Kinetics - META-Health Academy. Are you seeking a deeper understanding of mind-body medicine? Would you like to gain answers directly from the body-field? Are you keen to go beyond risk factors and explore the unconscious causes of our health challenges? META-Kinetics is an exciting new development in mindbody medicine. It synthesises two powerful disciplines: Cyberkinetics, an advanced form of Kinesiology, and META-Health, a comprehensive mind-body-social system of health understanding. META-Kinetics is of interest to personal development professionals and health practitioners of all disciplines, giving you an integrative framework and advanced methodology for working with clients. In 2005, Robert and I were working as life coaches, helping individuals to set goals and overcome their barriers. We noticed that our clients’ barriers to achievement often correlated with their symptoms, for example, fear of public speaking with issues of the larynx or blushing. Intrigued by these connections, we started looking into approaches to mind-body healing to deepen our understanding. Searching online, Robert came across the International METAMedicine Association (IMMA), and META-Health seemed to fill in many missing links! Not only did it explain the mind-body-social connection behind health issues, it was also based on scientific principles, which appealed to Robert’s Engineering and Business Systems background. He attended the first UK introductory weekend, and eight years on, we are the UK's senior META-Health Master Trainers and actively contributing to the ongoing evolution of META-Health. Meanwhile, our colleague Tremayne Reiss was exploring different approaches to health and consciousness. Tremayne had already studied Herbal Medicine, META-Health and basic Kinesiology when 'by chance' at a conference he met the late Alan Sales, an META-Kinetics experienced Kinesiologist and founder of Cyberkinetics. After this fortuitous meeting, the two started experimenting with using Cyberkinetics with META-Health. META-Kinetics was born. Since then, as we have worked together, METAKinetics has been continually evolving, growing and informing our practice. It has transformed the way we and our students work with clients, and is enabling us to learn, develop and make new discoveries regularly! Piece 1: Kinesiology – The Body Never Lies The word Kinesiology comes from the Greek work kinesis, meaning motion. In the medical sciences it is the name given to the study of muscles and the movement of the body. Testing the muscle response has long been used in conventional medicine to assess the motor system. In the 1960s, Chiropractor George Goodheart discovered that muscle testing could reveal much more than motor function, and developed the system of Applied Kinesiology. 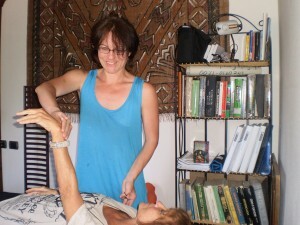 Since then, many forms of Kinesiology have been developed.In the complementary health field today, Kinesiology is primarily used to identify imbalances in the body's structural, chemical, emotional or other energetic systems, to establish the body's priority healing needs, and to evaluate energy changes brought about by therapeutic procedures. Kinesiology is based on the premise that we can access the unconscious mind through the muscles, which are in a delta state, thus largely bypassing conscious thinking processes. A muscle test provides information via nerve pathways and the meridian system. META-Kinetics uses muscle testing to elicit information and gain feedback from the body-field. Piece 2: Cyberkinetics – A Quantum Leap in Kinesiology Cyberkinetics is an advanced system of Kinesiology developed by Alan Sales. As he was a Control Systems Engineer before becoming a Kinesiologist, Alan was familiar with Cybernetics, the study of systems and processes, which explains how living systems constantly adapt to their environment through continual monitoring and feedback loops. Cyberkinetics is methodology based on a distillation of the best aspects of various schools of Kinesiology with new discoveries based on cybernetic thinking,leading it to be hailed as a quantum leap in Kinesiology.One of Alan's discoveries was Analogue muscle testing, and this is now a key feature of META-Kinetics. Before Analogue muscle testing, Kinesiologists used the binary system. Imagine a light switch in binary - it is either on or off. Analogue muscle testing is like a dimmer switch. It grades the intensity of light through a full spectrum. It thus gives more sensitive and accurate feedback, reflecting the dynamic nature of life. Cyberkinetics appears to enable us to communicate directly with the body-field, the field of energy and information which directs and controls the processes within the physical body. Piece 3: META-Health – Integrative Health Awareness META-Health provides two associated pieces of the META-Kinetics jigsaw: firstly, a system for understanding health and illness, and secondly, an enquiry process for getting to the root cause of health issues. 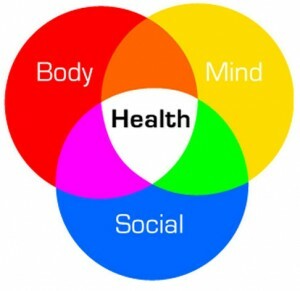 META-Health Understanding As a system of health understanding, META-Health explains how all symptoms are bio-logically meaningful, rather than a mistake of nature. Going beyond the current concepts of risk factors, such as lifestyle factors, genetic heredity, germ theory and biomechanics, META-Health offers an accurate and reproducible explanation of the specific bio-emotional causes behind specific symptoms.For example, the tendons and ligaments in the knee enable us to walk, run, kick and move forwards. If an individual has a knee problem, such as inflammation, this indicates a corresponding issue with their capability to kick something away or move forwards in an area of their life; they feel stuck and incapable. META-Health is based on the science of the organ-brain-emotional connection, and enables us to work with the interconnectedness of thoughts, feelings, behaviour and physiology. META-Health Analysis Using the META-Health knowledge base along with the timings of symptoms and specific questioning techniques, META-Health Practitioners are able to converse with clients to uncover the specific trigger events, thoughts and feelings behind their health issues, and to create tailored plans for overcoming these issues. META-Kinetics brings together META-Health understanding and enquiry with the tools and methodology of Cyberkinetics Advanced Kinesiology. Before META-Kinetics, META-Health enquiry took place conversationally, and relied on a client’s conscious recollections of thoughts, feelings and events. METAKinetics now enables us to ask questions directly to the body-field through muscle testing, giving us more accurate, comprehensive and detailed feedback. A typical META-Kinetics session will focus on a particular issue or goal, and integrate muscle testing with conversation. While the client or Practitioner can determine the focus of the session, it can be even more powerful to ask the body what’s most important to work on – and this is not always what the client or Practitioner expect it to be! A META-Kinetics session will usually include enquiry into the issue followed by protocols for releasing the associated stress and restoring balance to the client’s energy system. There are three stages to the process: Test, Load and Correct (TLC), a structure developed by Alan Sales. In the Test section, we explore the client’s problem, which may be, for example, a physical symptom, energetic imbalance, problematic situation or internal conflict. We elicit the underlying emotions, beliefs, events and thought processes through a combination of scan charts (lists of information), discussion, and muscle testing to verify or falsify the information. Many systems of Kinesiology follow a Test-Correct format, in which information is gathered, and then an energetic correction is applied. In META-Kinetics we integrate a middle step, Load, which enables us to gather all the stress relating to the issue before discharging it through the Correction. We’ve found that this enhances the impact and longevity of corrections. Corrections can take many forms, for example EFT tapping points, acupressure holding points, sound therapy or natural remedies such as flower essences. With META-Kinetics, the TLC process can build a bridge to deeper transformational therapy. What Can We Use META-Kinetics For? The META-Kinetics methodology is both robust and flexible, so can be applied to many areas of therapeutic enquiry, from uncovering the origins of a problem to determining the best course of action for a coaching or therapy session. It opens up exciting doors into the field of mind-body medicine. Practitioners now have a way of calibrating the information clients present, removing much of the ambiguity of purely conversational exploration. Huge amounts of information can be navigated and filtered rapidly. Previously, Practitioners had to make a mental decision about where to start and what to focus on; now we can ask the inherent wisdom of the body field. META-Kinetics has given us an invaluable tool for exploration and revolutionised the way we work with clients. For students of META-Health, the interaction and kinaesthetic dimension of META-Kinetics provides brings mind-body-social analysis to life. Becoming proficient with muscle testing takes time but the reward is massive. The hardest part is letting go of what you think you know and surrendering to universal consciousness. As Einstein said, ‘the only thing that interferes with my learning is my education’! 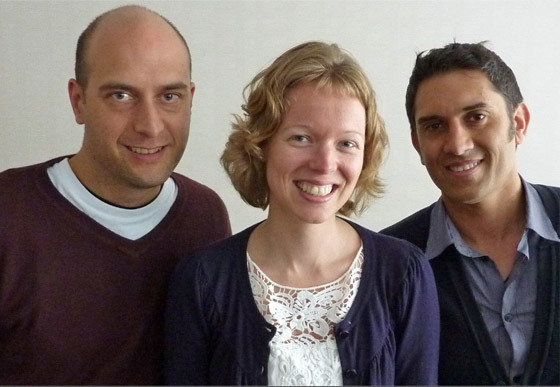 Joanne Ross, Robert Waghmare and Tremayne Reiss are co-developers of META-Kinetics. They are META-Kinetics and META-Health Master Trainers, members of the International META-Medicine Association (IMMA) Advisory Board and are actively involved in the development of META-Health. They run regular training courses in META-Kinetics, META-Health, and EFT (Emotional Freedom Techniques). Find out more, read further articles and sign up for a free newsletter at www.metahealthacademy.com, join www.facebook.com/metahealthacademy and www.facebook.com.metakinetics, follow www.twitter.com/metahealthy or call 0845 838 6787.